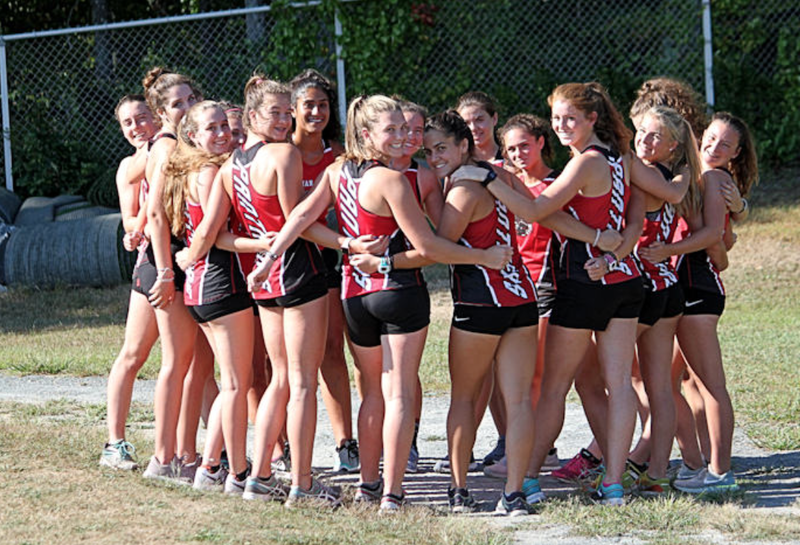 Head coach Steve George is hoping the girls’ cross country team’s record starts to improve. Whitman-Hanson Regional High girls’ cross country head coach Steve George is hopeful the program can be restored to what it once was. A force. “When I speak with middle school kids and some of the high school kids who have chosen other sports, I’m disappointed only for the fact that I know there are incredibly gifted runners who won’t be joining us and are missing out on opportunities they can’t comprehend as children,” George said. Over George’s five years at the helm, runners have gone on to compete at the likes of Bentley, John Hopkins, Lehigh, Tufts and West Point, among others. While winning consecutive Div. 3 EMass titles again (2011 and 2012) is a long shot, being competitive in league play and finishing above .500 isn’t. It was just three years ago the Panthers went 6-2. “Until we start attracting young women to this sport it will be difficult to compete with rivals Hingham and Duxbury,” George said. Two years ago the Panthers concluded the fall at 2-6. Last year they were 3-4. This season they went 3-5. “[It isn’t] for lack of trying on the part of the coaches or the kids that choose to be part of what I believe to be a truly wonderful experience,” George said. The Panthers’ three wins came over Plymouth North (26-31 on Sept. 26), Silver Lake (20-43 on Oct. 10) and Scituate (18-44 on Oct. 16). Junior Tori Boss was a standout for the Panthers and their top runner with a top average time of 21:26. Against Scituate she won, and versus Silver Lake she covered the course in 22:08 for a second-place finish. Senior captain Maeve McDonough also put fourth her best season yet with an average time of 21:40 to be W-H’s No. 2 runner. Junior Niki Kamperides posted a 21:44 average time, a personal best and good for the Panthers’ No. 3 runner. George said there were no surprises in terms of his top performers. George said the season offered its fair share of excitement.